Sivaya Subramuniyaswami, also known by his followers as Gurudev, was born in Oakland, California, on Jan 5, 1927 and adopted Shaivism as a young man. He traveled to India and Sri Lanka where he received initiation from Yogaswami of Jaffna in 1949. In the 1970s he established a Hindu monastery in Kauai, Hawaii and founded the magazine Hinduism Today. He was one of Saivism’s Gurus, the founder and leader of the Saiva Siddhanta Church. Subramuniyaswami was lauded by Klaus Klostermaier as “the single-most advocate of Hinduism outside India”. In 1986, the World Religious Parliament in New Delhi honored him as one of the five Hindu spiritual leaders outside India who had most dynamically promoted Hinduism in the previous 25 years. He became a spokesman for Hinduism at global gatherings, despite (directly) representing fewer than three million of the world’s estimated one billion Hindus. His influence reflected the reach of his publications, including the approximately 30 books he wrote. He represented Hinduism at the Global Forum of Spiritual and Parliamentary Leaders in Oxford in 1988, Moscow in 1990 and Rio de Janeiro in 1992. The book Religious Leaders of America explained Subramuniyaswami’s role as “a pillar of orthodox Hinduism. Sivaya Subramuniyaswami’s training in classical Eastern and Western dance and in the disciplines of yoga developed him into a dancer. He joined the San Francisco Ballet Company, becoming their danseur by age nineteen. 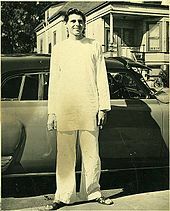 At twenty years of age, he took the first ship to leave for India after World War II. He celebrated his twenty-first birthday just days before going ashore and walking through the grand Gateway to India in Mumbai. Sivaya Subramuniyaswami spent almost three years on the island of Ceylon, now called Sri Lanka. Before meeting his guru, he studied with his fourth “catalyst” for a year and a half. Sivaya Subramuniyaswami just wanted to meditate, but his teacher made him work to help village people with reconstructing rural areas. Sivaya Subramuniyaswami visited and lived in many Buddhist temples in Sri Lanka. He was received by the monks there and saw how they lived and dressed. This experience influenced in a very strict way the monastic protocols that he later put into action in his own monastic order. This sound will be heard in America! Now go ‘round the world and roar like a lion. You will build palaces (temples) and feed thousands. Yogaswami continued to communicate with Sivaya Subramuniyaswami through Kandiah Chettiar until his death in 1964. In the line of successorship, Subramuniya was considered the 162nd Jagadacharya of the Nandinatha Sampradaya’s Kailasa Parampara. In late 1949 Subramuniya sailed back to America and embarked on seven years of ardent, solitary yoga and meditation In 1956, Sivaya Subramuniyaswami had a tremendous spiritual experience in Denver, Colorado, where “the soul body would finally fully inhabit the physical body”. The following year, in San Francisco, Subramuniya founded what is now Himalayan Academy and opened America’s first Hindu temple near Presidio Park. In Switzerland, 1968, he revealed Shum, a mystical language of meditation that names and maps inner areas of consciousness. Sivaya Subramuniyaswami moved his ashram to Kauai in 1970, establishing Kauai Aadheenam, on a riverbank near the foot of an extinct volcano. Also known as Kauai’s Hindu Monastery, Kauai Aadheenam is a 458 acre (1.9 km²) temple-monastery complex on Hawaii’s Garden Island. In 1979 he published the Holy Orders of Sannyas, defining the ideals, vows and aspirations of Hindu monasticism with unprecedented clarity. In 1979 he founded the Hinduism Today magazine, and in the early 80s, after his world tours, focused his magazine on uniting all Hindus, regardless of nationality or sect, and inspiring and educating seekers everywhere. In Sri Lanka, Sivaya Subramuniyaswami formally took possession of the main building of his Sri Subramuniya Ashram in Alaveddy, founded in 1949. 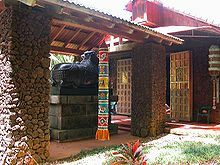 In 1986 Sivaya Subramuniyaswami founded a branch monastery in Mauritius in response to the government’s request that he come there to revive a languishing Hindu faith. In 1991 he produced the Nandinatha Sutras, 365 aphorisms that outline the entire gamut of virtuous Hindu living. Especially in the early 1990s he campaigned for fair treatment of temple priests, particularly that they should receive the same respect enjoyed by the clergy of other religions. In 2000 he published How to Become a Hindu, showing the way for seekers to formally enter the faith, confuting the notion that “You must be born a Hindu to be a Hindu.” In November of that year, he launched Hindu Press International (HPI), a free daily news summary for breaking news sent via e-mail and posted on the web. In 2001 he completed the 3,000-page Master Course trilogy of Dancing with Siva, Living with Siva, and Merging with Siva – volumes of daily lessons on Hindu philosophy, culture and yoga, respectively. On November 12, 2001, he died surrounded by his monastics and devotees. 1986 – New Delhi’s World Religious Parliament named Sivaya Subramuniyaswami one of five modern-day Jagadacharyas, world teachers, for his international efforts in promoting and chronicling a Hindu renaissance. 1988 – Oxford, England: Hindu representative at the Global Forum of Spiritual and Parliamentary Leaders for Human Survival. Sivaya Subramuniyaswami joined hundreds of religious, political and scientific leaders from all countries to discuss privately, for the first time, the future of human life on this planet. 1993 – Chicago: at the centenary Parliament of the World’s Religions, Sivaya Subramuniyaswami was elected one of three presidents, along with Swami Chidananda Saraswati of the Rishikesh-based Divine Life Society and Kerala’s Mata Amritanandamayi, to represent Hinduism at the Presidents’ Assembly, a core group of 25 men and women voicing the needs of world faiths. 1995 – Delhi, the World Religious Parliament bestowed on Sivaya Subramuniyaswami the title Dharmachakra for his remarkable publications. 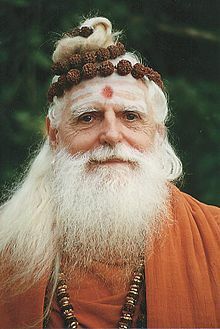 1997 – Sivaya Subramuniyaswami responded to the US President’s call for religious opinions on the ethics of cloning from the Hindu point of view. 1997 – Sivaya Subramuniyaswami spearheaded the 125th anniversary of Satguru Yogaswami and his golden icon’s diaspora pilgrimage through many of the over 75 Sri Lanka temples and societies around the globe. Now Lord Bisnu’ ninth Avatar is In Puri. First We have to develop culture of Puri and we have to cast the glory of Lord jagannath.